As much as she doesn’t like to admit it, my grandma is OLD. That is a fact. And even though she is actually relatively young for a grandma, just the fact that she IS a grandmother means that she is old by association, no questions asked. But for her, and all other grandmas out there, with their old age comes a huge wealth of knowledge and wisdom that wasn’t present when they were children, or even when they first became mothers. As a grandmother, you truly have the authority to say what is right from wrong and help steer your grandchildren in the right direction. When as a mother, you may feel like any advice you give your children may be flawed since you are unsure of yourself or if you are even right in the first place, when you are a grandma, you just know the answers to everything. When you first become a mother, a lot of the time is spent simply trying to get through the day and make sure you are constantly doing what is best for them to help them grow up into a fantastic human being. In this sense, the job of motherhood is a very stressful one, even though there are definitely moments of pure happiness and joy when raising your child. However, as a grandmother, that stress simply no longer exists. Anything you do with your grandchild is enjoyable rather than stressful. By this statement though, I am not merely saying that because you are not raising the child directly there is no pressure for you to fail (although that is definitely a true statement on its own). What I am really trying to get at is simply that with your wealth of wisdom, you know that as long as you play an integral role in your grandchild’s life, they will work out just fine. In other words, there is no stress because you know the secrets to raising a child successfully after all those years. With this mindset comes the opportunity to simply love your grandchild and enjoy spending quality time with them and watching them grow up right in front of your eyes. While raising a child as a mother can be such a treasure for mothers everywhere, watching your grandchild grow up is even more precious. Less time working definitely helps! For a lot of grandmothers (my grandmother included), having a grandchild coincides with when you are either about to retire, or have just retired. If this is you, then you definitely have something to look forward to even more so. 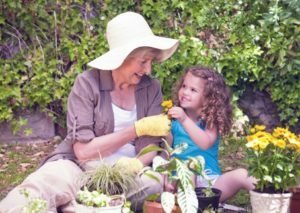 Because without having a job to worry about, you can simply enjoy life and spend that free time with your grandchildren. A big reason that mothers are so stressed when they are raising their children is because of the financial requirements that are associated with raising a child. Constantly working and making sure that they have a stable job is always weighing on their minds when raising a child, and once you are a grandmother and retired, that mentality is simply no longer there to bring you down. With the added free time that comes with retirement, you can truly spend it doing what you love, with no restrictions whatsoever! This is something that my grandma really emphasized after talking with her! I remember that as soon as my child was back from the hospital, my mother was at our house nearly every other day for the next few months. And even after those months had gone by, she was spending so much more time with us as a family than before. That is not to say that she was neglecting me as the years went on. But rather, she had a new reason to become an integral part of the family again. It meant so much for both of us to rekindle our love for one another, through birth of my child. 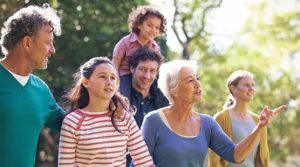 Becoming a grandmother naturally leads to reconnecting with the rest of your family. As a grandmother, you may be somewhat disconnected from the rest of your life, and from the people and places of the past, even with close family members. However, part of the joy of becoming a grandmother is the opportunity to reconnect and reestablish the bond with your family. Unfortunately, an inevitable truth of being a grandma is that your remaining time on this earth will most likely be relatively short compared to everyone else. That is why it is so important to embrace the things that matter most in your life, and the things that bring you the most joy. Not only is becoming a grandmother the perfect chance to watch and influence how your children’s children grow up right before your eyes, but also the perfect chance to rekindle your bond with your own children and the rest of your family in the process. My grandmother summed it up best with a simple statement: “I love being a grandma”. No matter what your situation, being a grandmother is something that you will love for the rest of your life. So savor every minute of it!